ORDER YOUR CORE X SYSTEM NOW! 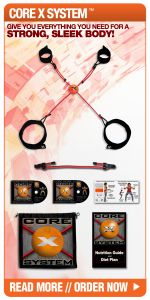 The CORE X SYSTEM is the ultimate EXERCISE AND FITNESS PROGRAM! EXERCISE WITH THE CORE X SYSTEM! IT IS A FUN! FAST! AND EASY RESISTANCE BASED EXERCISE AND FITNESS PROGRAM! USED BY TOP ATHLETES, AND IS NOW AVAILABLE TO STRENGTHEN & CONDITION EVERYONE! YOU’RE JUST ONE WORKOUT AWAY FROM A GOOD MOOD AND A NEW LIFE! The patented CORE X SYSTEM was developed by Alex McKechnie, strength & conditioning trainer to professional athletes and one of the worlds utmost authorities in core training and movement integration. The Exercise and Fitness Program is designed to improve your fitness and tone your body by increasing strength, improving agility and mobility, and helping you lose inches in your waist, hips, buns, and thighs. When you exercise with the CORE X SYSTEM it strengthens and tones your upper body, lower body, and abs and core! The use of X-effects resistance powerfully shapes lean muscles and promotes correct POSTURE yet it’s easy and gentle on the body (joints and muscles). It provides a full body workout in just minutes a day! The system keeps the body in perfect CORE NEUTRAL POSTURE. One perfectly designed muscle toning movement is better than 10 moves performed incorrectly> CORE NEUTRAL is the only body position that allows full engagement of all the major muscles. THE CORE X SYSTEM acts like a muscle toning magnifier – small moves with maximum results! When you exercise with the CORE X SYSTEM it increases strength, improves agility, stability, and mobility so you excel in sports activities and activities of daily living! THE CORE X SYSTEM IS USED BY STRENGTH & CONDITIONING COACHES, SPORTS PHYSIOTHERAPISTS, PERSONAL FITNESS TRAINERS WORLD WIDE ON ALL CLIENTS REGARDLESS OF THE CLIENTS AGE OR LEVEL OF ATHLETIC ABILITY! THE CORE X SYSTEM IS THE EXERCISE AND FITNESS PROGRAM FOR EVERYONE! 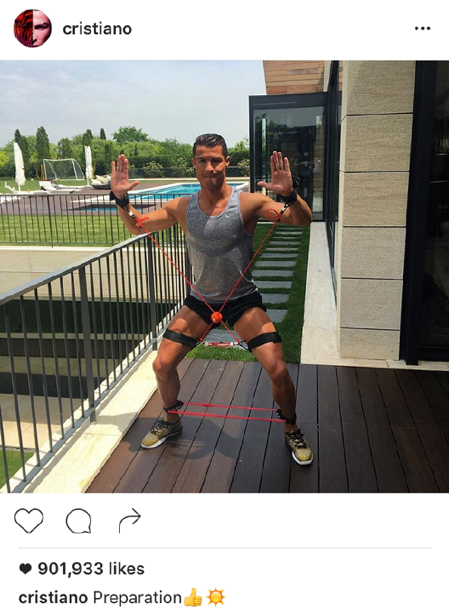 The CORE X SYSTEM is used by Fitness Trainers Worldwide! Many of the world’s greatest & most CELEBRATED ATHLETES have improved strength, speed, agility and overall sports performance by using the CORE X SYSTEM!